The average time to remove a tattoo using the PicoSure or PicoWay lasers is about 4-8 treatments. Treatments are done with gaps of 8 weeks between appointments. However, this does vary for each client and their tattoo, as different factors such as ink type and colour, skin type, and age and location of the tattoo play a role. At your laser tattoo consultation, your technician will be able to give you a better indication of how many treatments you personally need and answer any other questions you may have about laser tattoo removal. What Happens During a Laser Tattoo Removal Treatment? During a PicoSure/PicoWay treatment, the laser will be focused over the tattoo with some cool air blowing. The practitioner will take the laser over the tattoo a few times and you may see your tattoo turn white or red. The tattoo will be wrapped in gauze and you will be given aftercare advice. The length of time of each treatment will vary depending on the size of the tattoo. Pain threshold is an individual experience, but some discomfort is to be expected even by those with a high pain threshold. Clients often describe PicoSure/ PicoWay tattoo removal treatments like ‘being pinged with an elastic band’, but this varies from client to client. Your practitioner will advise you on how to minimise any pain or discomfort. Cooling the skin post-treatment, using gels is frequently suggested. The PicoSure laser is only suitable for those with skin types I - IV. The PicoWay laser is more suitable for darker skin and is safe to be used on skin types I - VI. The area must be protected with an application of ointment and gauze for the first 24 hours, and then protected from sun exposure to prevent changes in pigmentation between treatments. For most people, any side effects from PicoSure & PicoWay laser tattoo removal are short-lived, minimal and to be expected. Some of those possibilities are darkening of the skin due to inflammation, the area may itch, or feel like a minor sunburn that hurts if chafed. However, if you have a history of scarring easily, poor wound healing, or suffer an immune problem you should discuss this at your initial consultation. There is a low risk of developing scars if you have these issues. A not common, but possible side effect for those with darker skin is the lightening of the skin due to the loss of melanin (a substance that gives the skin its colour). The PicoWay though is particularly good for darker skin, and using that laser should avoid any complications. Is there a difference between the PicoSure and PicoWay ? These lasers are very similar but made by different companies. The PicoSure laser is produced by CynoSure and the PicoWay is produced by Syneron Candela. There are some mechanical differences, but without getting too technical the only real difference to you, is that the PicoWay is suitable for darker skin and the PicoSure is not. 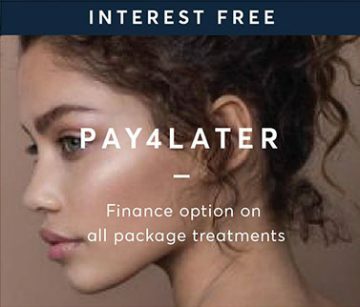 If you would like more information on which laser is more suitable to you, just ask your technician at your free consultation.